Coffee fanatics like we are? Then you’ve probably seen your fair share of Starbucks coffee shops. 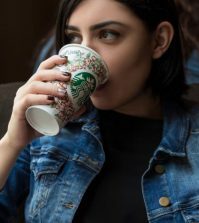 But if you’re new to the game or just want to switch up the routine a bit, why not try one of these delicious top 10 Starbucks drinks? You’re sure to love- after all, it is Starbucks! If you’re in the mood for something sweet, fruity, and delicious, then the Teavana Shaken Iced Passion Tango Tea Lemonade is definitely for you. It’s the perfect summer drink as it’s completely refreshing and will remind you of that delicious punch you used to drink as a kid. The tropical flavors are enhanced with the refreshing splash of lemonade, making this tea a number one option. Take it up a notch with secret menu Berry Hibiscus Passion Tea, which is a regular passion tea with water substituted for very berry hibiscus! In the need for some straight up coffee that is still warm and delicious on a cool winters night? 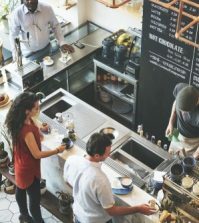 Then you may consider the Caffe Misto, which is simply the combination of Starbuck’s wonderfully delicious coffee and warm milk, together making a steamed delight you can enjoy any time of the day. 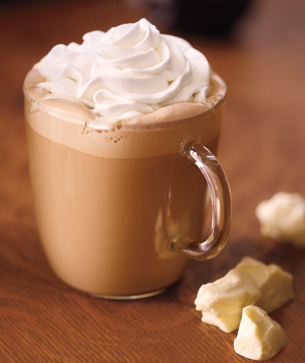 The enchanting taste of mocha paired with the decadent flavor of white chocolate, could anything be better? Presenting to you the White Chocolate Mocha, the absolute perfect drink if you’re seeking something comforting and utterly delicious. Oh, and did we mention there’s a shot of espresso in this beauty? It’s the perfect choice if you need a little kick in your day while still satisfying your sweet tooth. It’s as sweet as can be! 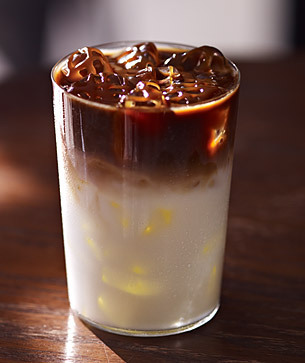 Of course we’re talking about the absolutely decadent flavors of the Iced Hazelnut Macchiato. It has the kick you need, and the taste you crave. I mean, who doesn’t love a beautiful combination of flavorful vanilla and amazing roasted hazelnut? It’s the perfect drink for summer, spring, winter, AND fall. Kick it up a notch with secret menu The Roasted Chestnut, which is simply a hazelnut macchiato with double hazelnut syrup, toffee nut syrup, and white chocolate mocha syrup! 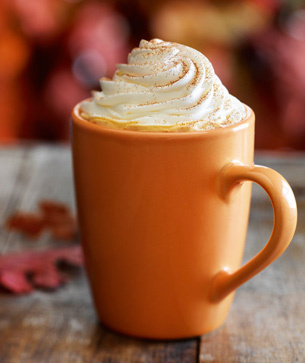 Nothing brings in the fall weather than this beautiful Pumpkin Spice Latte. In fact, every year we sit on pins and needles waiting for the arrival of this masterpiece in a cup. The lovely flavor of pumpkin is matched with cinnamon, clove and nutmeg, creating the signature fall drink we all adore. Kick it up a notch with secret menu Pumpkin Spice Choco-Chai, which is a chai tea latte with an extra pump of chai, pumpkin spice syrup, and mocha syrup. It’s an indulgence unlike anything else you’ve ever tasted. The sweet blend of cinnamon, brown sugar, and butter comes together to create this magnificent drink that’s wonderful cold and hot. 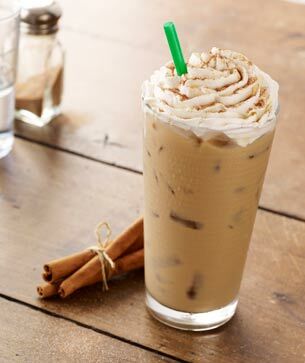 While definitely more popular during the colder months of the year, this is definitely one of the top drinks from Starbucks that any cinnamon lover would enjoy. Kick it up a notch with secret menu The Three C’s, a delightful blend of all your favorite C’s including cinnamon, caramel, and chocolate! Ah yes. 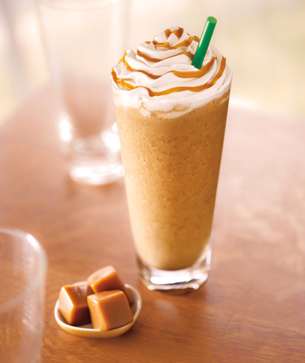 The Caramel Frappuccino. 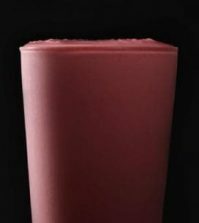 Undoubtedly the most popular frappucino drink from Starbucks. Everyone seems to order this delightful item, and for good reason too. The sweetness of the caramel accents the bold coffee for a melt-in-your-mouth flavor that is refreshing and fun. Topped with whipped cream and caramel drizzle, this popular drink certainly makes a statement on your taste buds that is nothing short of heavenly. Kick it up a notch with secret menu Caramel Apple Frappuccino, consisting of apple juice, cinnamon dolce syrup, cream base, and dark caramel syrup or regular caramel syrup! This heavenly blend of chocolate and coffee is more than enough to put your chocolate cravings to rest. This divine chocolate masterpiece comes with the coffee to give you a bit of a kick while the mocha and chocolate chips give your taste buds a chocolatey and decadent ride to remember. Oh, and if that wasn’t sweet enough for you, the whipped cream is topped with a magnificent chocolate glaze to tie to the whole creation together. It’s certainly one of the most popular frappuccinos on the menu, and we can completely understand why! Kick it up a notch with secret menu S’mores Frappuccino, with a pump of cinnamon dulce syrup, toffee nut syrup, and topped with tasty cinnamon dolce sprinkles and whipped cream! This delightful little treat takes us back to summer days, schools were closed and we spent all day running around the park and drinking up delicious strawberry milkshakes. That’s right! 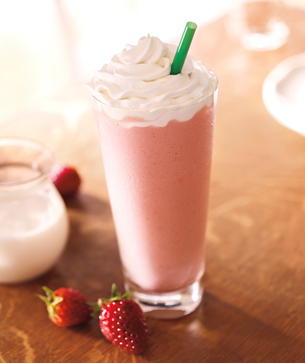 The Strawberries & Creme Frappuccino tastes exactly like a traditional strawberry milkshake- only better. It’s insanely creamy and smooth, making it the perfect afternoon treat on hot summer days. It’s coffee-free which makes it a wonderful options for those who can’t have coffee or just want something thick, creamy, and utterly refreshing. Kick it up a notch with secret menu Banana Split Frappuccino including vanilla bean powder, java chips, a whole banana, and whipped cream! What can we say? We are a sucker for vanilla drinks at Starbucks. 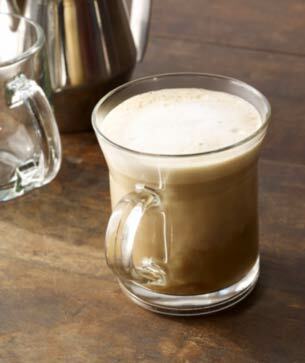 This classic, delicious drink is rich and tasty with the perfect blend of vanilla syrup, milk, and espresso. It’s the perfect drink day or night and gives you that warm, cozy feeling on the inside. Everyone loves this classic drink and it’s undoubtedly one of the staples of Starbucks. Kick it up a notch with secret menu Raspberry Cheesecake Latte, including flan syrup, cinnamon dolce syrup, raspberry syrup, and caramel whipped cream! Ahh, I can almost taste the creamy, delicious Starbucks coffee drinks already. How about you? 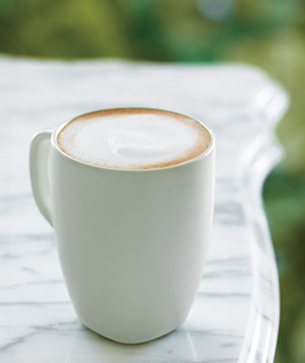 What is your absolute favorite Starbucks drink that you can’t live without? Thank you for sharing your list of favorite drinks. We always appreciate such positive comments from our community. Have a great day, Nadia! Thank you for sharing your positive comment. Please share more of your thoughts and feelings in the future. Have a great day, Ally! Girl SAME I really want to try the Unicorn drink I heard from a close friend it’s really good. Thank you for sharing your thoughts and feelings. We always appreciate when members of our community share their supportive comments. Please share more of your experiences and insights in the future. Have a great day, Maddie! Thank you for sharing your positive and supportive comments. Please share more of your thoughts and feelings in the future. Have a great day, Caitlyn! Hey? What do yoy recommend for first timers in starbucks ? There are a lot of options to choose from. Hot drinks and cold drinks are available. You may like sugary flavors or normal coffee. Determine what you want and take appropriate action. Have a great day, Mark! somwthig mabe simple like a frapp , java chip is a great choice! but beware the frapps are usually quite sweet so if you dont like sweet drinks the frapps might not be for you. Thank you for sharing your insights and experiences. Please feel free to share more of your thoughts and feelings in the future. Have a great day, Tal! Thank you for sharing your favorite drink. Please share more of your positive comments in the future. Have a great day, Yensielia! 1.purple drink, ask for: passion fruit iced tea, (No water) Coconut milk, Vanilla Syrup,freezed dried blackcurrant I think its THE BEST! 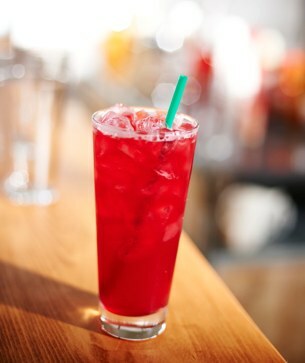 2.Pink Drink, ask for Hibiscus flavoured iced tea lemonade blended with coconut milk, DELICIOUS! 3.Bannana split ask for: Strawberries & Cream frap,add vanilla powder,Add a whole banana!YUM! Disclaimer on 26th-31st of October there will be a Zombie frap for Halloween!So exciting! Thank you for sharing your thoughts and feelings. It is certain that your comment will support many members of our community. Please share more of your positive comments in the future. Have a great day, Heba! Why haven’t they brought back the Dark Barrel flavor? It was the best thing ever! Thank you for sharing your thoughts. Have a great day, Brenda! Dolce is my absolute favorite! Thanks for the article, enjoyed! Thank you for your wonderful comment. Please feel free to share more of your favorite drinks or anything on your mind. Have a great day, Damerion! Hi Web Admin!! Thank you so much for these outstanding ideas, they were extremely helpful and I can not wait to try them out. I wanted to leave a reply about my personal favorites! ? 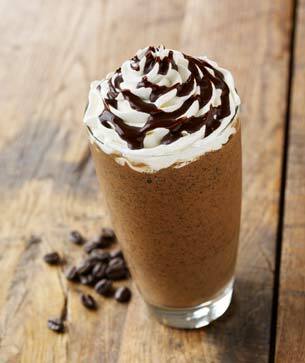 • Java Chip Frappuccino- sweet chocolatey goodness! • Double Chocolatey Chip Frappuccino- like the Java Chip it is sweet chocolatey goodness!! All of these are good! Awesome–I am happy to hear that you enjoyed the article. Thanks for commenting, Anonymous101! I’ve never had anything but the Carmel Frappuccino. Thanks for this article. I’m going to test them all. Thank you for sharing your goals. Please let us know about your insights and experiences. Have a great day, Jasmine! I loved the limited Frappula Frappuccino. I wish it was a year round option. Thank you for sharing your thoughts and feelings. Hopefully they will make a regular option. Have a great day, Tashiie! I love those. 🙂 I always have to get them with light chocolate though, or they end up being a bit too sweet. Thanks for commenting! Salted caramel mocha frappucino. Best. Drink. Ever. That is a very delicious drink! I just wish that it did not have so many calories. Thanks for commenting, Amanda! That is a good drink. Thanks for commenting, Lia! Delicious! You are absolutely right–I love that drink. Thanks for commenting, Annonymous! You have to get it double blended, but it is hella good tho!! Thank you for sharing your insight and feelings, Angelo! We always appreciate such advice! The seafood frappuccino sounds like quite a drink. Thank you for sharing your drink preferences with us. Perhaps your can market it to make it sound delicious. Feel free to share your experiences and insights with us in the future, Lola. We will have to do that in the future. Thank you for your ideas and sharing your feelings. Feel free to find any calorie counts for Starbucks drinks if you feel like doing so. We always appreciate when our readers share their positive feelings. Thank you! That is a delicious drink–thanks for commenting! While I like that drink, I think that it has about 500 calories, which is too much for my calorie budget! Some day though! Thank you! I am glad to hear that you enjoyed it. If you liked this article, we have a number of similar articles on Her Interest. If you have time, make sure to check them out. Thanks for commenting! I like vanilla lattes–although peppermint lattes are my personal favorite. Thanks for commenting, Deine! Or the Java Chip Frappuccino! Unfortunately, both of those drinks are fairly high in calories. It is too bad that they are so terribly delicious! 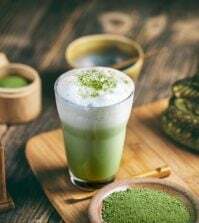 That is an excellent drink–this article was written a while ago, so we haven’t had a chance to update it with their newest drinks yet. Thanks for commenting, Victoria!